Powassan, Heartland And Bourbon Spread By Ticks : Goats and Soda The world is seeing more and more new diseases, and the U.S. is no exception. We're living in a hot spot for tick-borne diseases. Some are deadly. The key to stopping them may be an unlikely critter. 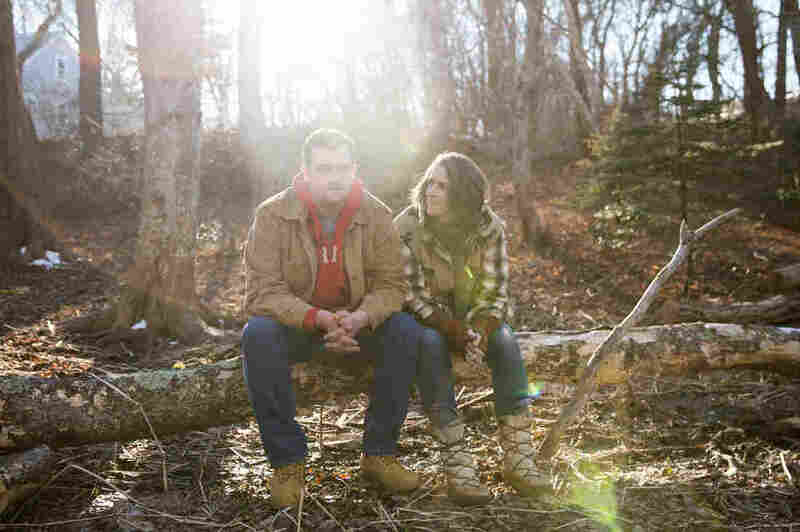 Tucker Lane and his mother, Lynn Cash, sit in the wooded backyard of his home in West Barnstable, Mass. "Two ticks, on my right hip, directly next to each other," he says. At the time, Lane didn't think much about it. He grew up on Cape Cod. Ticks are everywhere there in the summer. "Just another tick bite. Not a big deal," he thought. "I was working outside, and I just had a pounding headache," says Lane, 24, who works as a plumber and at a pizza restaurant. He tried taking ibuprofen. But that night the headache got worse. "I was sweating but was cold. And I had tremors," he says. After two trips to the doctors — and no improvement — Lane's mother, Lynn Cash, called an ambulance. At first, doctors wouldn't treat him, Cash says. "They accused him of opiate abuse." They thought Lane was going through withdrawal. But scans of his brain showed that it was swelling. And he was quickly losing consciousness. His doctors decided to rush him to Brigham and Women's Hospital in Boston. "By the time they got him upstairs [into a room], within another 48 hours, he was in a coma," Cash says. At that point, doctors were stumped. They thought he might have some kind of infection. "His MRI was very severe," says Jennifer Lyons, a neurologist at Brigham and Women's Hospital. "He had a lot of inflammation in the very deep parts of his brain." But she didn't know what was causing the infection. Cash felt differently. 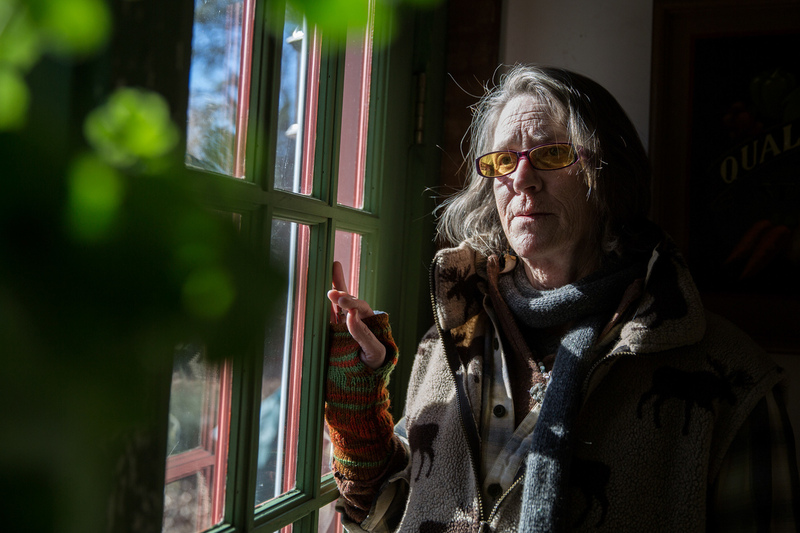 She says she knew exactly where the problem was coming from: "I knew it was a tick thing." Cash's family has been on Cape Cod for many generations; she has seen a lot of Lyme disease and even had it herself. But she had never seen anything like this. This was something new. Something even more frightening. 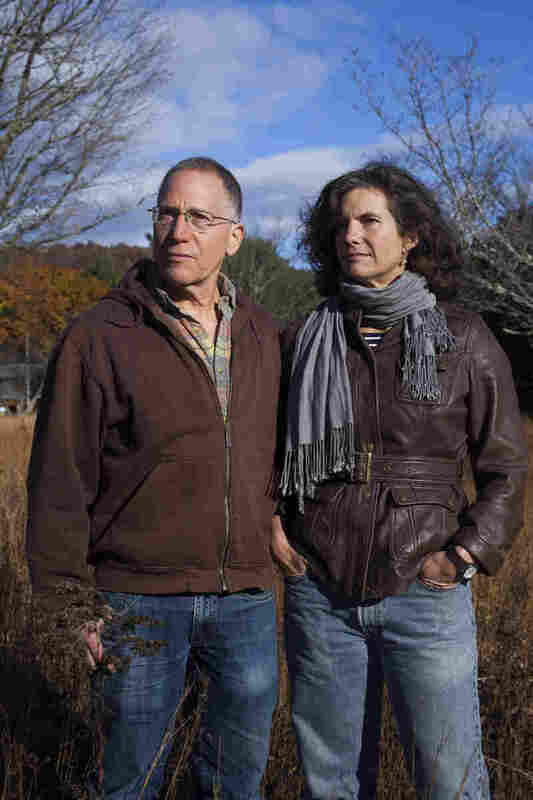 Richard Ostfeld and Felicia Keesing, husband-and-wife researchers in upstate New York, are studying why Lyme disease and other tick-borne illnesses are getting worse. "The more we look, in a sense, the more we find," says Felicia Keesing, an ecologist at Bard College in upstate New York. "Around here, there's anaplasmosis, babesiosis and a bacterium related to Lyme, which causes similar symptoms." And that's just in the Northeast. In the Midwest, you can find Heartland virus, a new Lyme-like disease and Bourbon virus — which is thought to be spread by ticks but hasn't been proven yet. In the South, there's Southern tick-associated rash illness. Out west, there's a new type of spotted fever. And across a big swath of the country, there's a disease called ehrlichiosis. Most of these diseases are still rare. But one is especially worrying. "It's a scary one," Keesing says. "Our local tick — this blacklegged tick — occasionally carries a deadly virus that's called Powassan virus," says Rick Ostfeld, a disease ecologist at the Cary Institute of Ecosystem Studies in Millbrook, N.Y.
Powassan is named after a town in Ontario, Canada, where the virus was discovered in 1958. Now it's here in the U.S. The country records about seven cases each year on the East Coast and in the Upper Midwest. Although doctors didn't realize it at the time, it was Powassan flooding Lane's brain. "If you opened his eyelids, he was just gone," she says. "I have never been so devastated in my whole life." "If you opened his eyelids, he was just gone," says Cash. "I have never been so devastated in my whole life." Doctors told her there really wasn't anything else they could do for her son. But she never lost hope. "I did a lot of praying. I'll tell you that much," she says. Then one morning, Cash went to visit Lane. He had been in a coma for a week. When she opened the door, she recalls, "he turned his head and looked at me." Then he tried to speak. "The only thing that came out was a 'Ha,' " she says. "But he recognized me." "My family and I are really close," he says. "So when I woke up, they were all around me. My cousins were just joking with me and making me laugh and stuff like that. So it was all good." And it was all good. Lane's recovery stunned doctors. "His recovery was truly remarkable," says Lyons, his doctor. "She subsequently went downhill, so unbelievably quickly," says her daughter, Susan Whittington. "She became incoherent and delusional. She was talking to paintings." 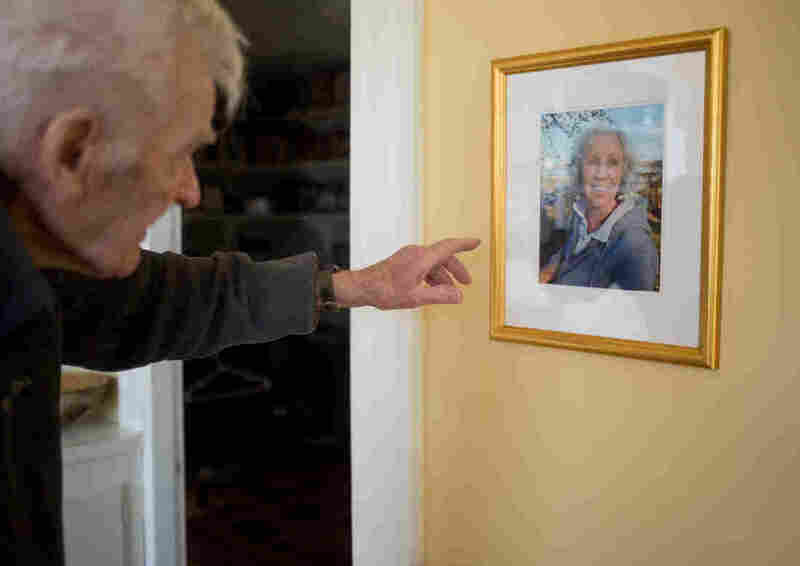 Jack Snow looks at a photo of his late wife, Lyn, on the wall of their home in Thomaston, Maine. Lyn Snow was bitten by a tick in late 2013 and died of Powassan, a tick-borne virus. "That's when we knew it was unrecoverable," Whittington says. "That's when we knew that we would have to let her go. And that's what we did." "It was all horrific," she adds. "Just before my mom was bitten by the tick, she would walk 3 miles every day, ride horses with her grandchildren. She was an amazing grandma." "So far there have been no success stories of treating people's individual properties in reducing cases of tick-borne diseases," says Keesing. But she and Ostfeld, her collaborator and husband, are trying to change that. They think they've come up with a way that may finally cut down on the cases of Lyme, Powassan and other tick-borne illnesses in the Northeast. "I can already feel that it's a pretty fat mouse," Ostfeld says, as he pulls out a white-footed mouse from a trap that's been set up in a forest near his laboratory. The traps are metal boxes, about the size of wine bottles, hidden underneath leaves. "Mice love to enter them," Ostfeld says. "They love to enter dark tunnels." For some reason, ticks flock to mice. Other animals groom the bloodsuckers off and kill them. But mice don't. They let the critters attach and feed on their face and ears. Ostfeld says he has seen mice with 50, 60, even 100 ticks on their face and ears. "When I first noticed this, it really grabbed my attention." "The chemical is the same that people put on their dogs and cats," Ostfeld says. "But it's an even tinier drop, much tinier. So a little bit goes a long way." "If anything is going to work to reduce the number of tick-borne disease cases in neighborhoods, this is going to be it," she says. Because here's the thing about ticks: It's not enough for just one or two families in a neighborhood to protect their yards, Keesing says. The whole community has to come together, in a concerted effort, to fight the onslaught of tick-borne diseases.